When I founded Triage Capital Management Incorporated I had a vision of creating a company that helped individual companies to achieve results through others. It is my belief that leadership is about achieving results through others and too many businesses don’t know who, or how, to ask for help when confronting a challenge. 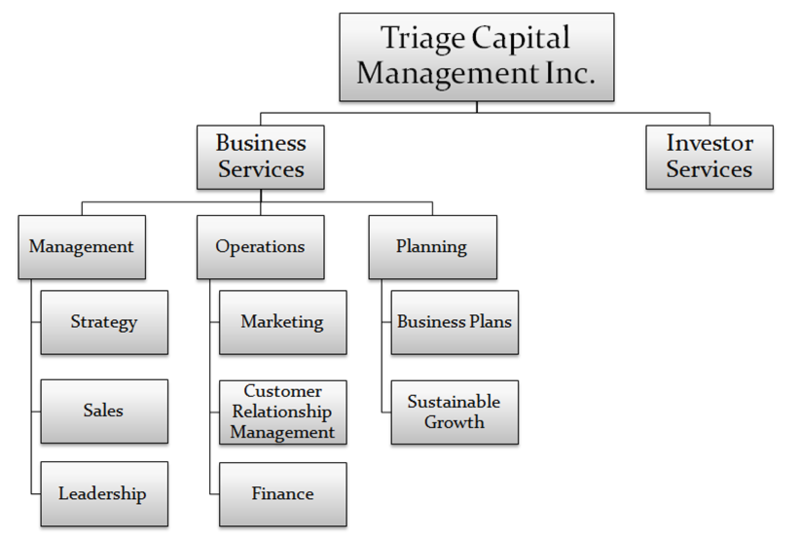 At Triage Capital Management we understand the unique challenges that face business owners and management in a world that is changing faster than many can control. Owning and operating any business is a lot of work regardless of its size and we know that making a product or selling a service will always be easier than running an entire business successfully. Every company should be on a continuous search for efficiencies by planning for the long-term, adjusting to the short-term and seeking solutions to problems that each of us struggle with in the best of times. Many consulting companies provide solutions to clients by simply giving them the missing piece of the puzzle, but at Triage Capital Management we are committed to creating solutions with our clients that they need. This approach ensures that the needs of our clients are met 100% and tailored exclusively for their use. Each individual business is unique and requires specific solutions for their situation. Businesses need strategies that support sustainability and a business fails more often because it lacks an effective execution of essential strategies than for any other reason. Problems need be identified and promptly responded to by management for a company to be viable over the long-term. Every business needs to plan for the unexpected and unpredictable events will always be present to confront a company with challenges; with customers, with employees and with competition. We believe businesses that are run efficiently are more profitable and easier to operate. When a company operates at a higher efficiency it provides business leaders with more time to grow, expand and achieve their desired results. Through the application of our Value Rules, 4-D Approach and Core Principles our company can assist you with a wide array of barriers to develop successful solutions that move your business forward. As Business Consultants our approach is one of common sense, building a solid financial foundation, providing businesses with the proper tools to achieve their goals and identifying strategic advantages that fuel innovation of your business. Our discipline is one of measured growth, control and realistic expectations. We empower our clients through the development of your skills, your education and your people by focusing on the importance of human capital. 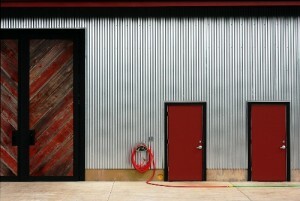 We carry a client-focused approach that functions on open dialogue, trust and transparency with no conflict of interest. We are committed to achieving results with you, for you and providing you the independence to make the best decisions for your business. I encourage you to navigate the rest of our site, read about our products & services and learn more about our company, culture and expertise. If at any time you have questions please feel free to contact us during business hours via phone, email or leave us a message after hours.